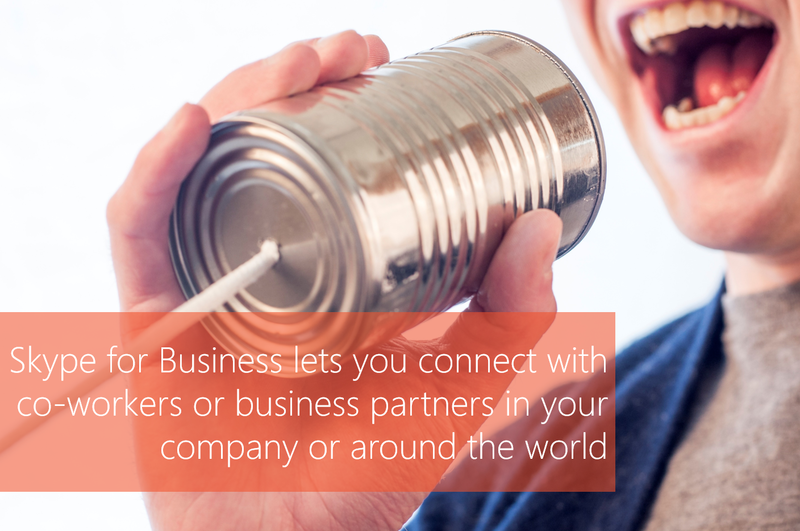 #Office365Challenge Skype for business is a great way to communicate and collaborate with other Skype users. This post will cover the features and user interface. Cell phones became part of our lives roughly 25 to 30 years ago. I cannot even remember what it was like to have to drive to a phone booth to make a call (when in town), or not being reachable – because I’m not at home. And then it changed our lives. The way we communicate has changed forever and we need to keep up or be left out. As much as technology has become intrusive and robs me of my ‘free time’, it also helps me be more efficient which in return ‘frees up time’. Kind of a catch 22 I suppose. The ability to do more and do it faster, has also made me impatient. I want immediate results, feedback, interaction and THAT’S why I love Skype :-). Free Skype audio and video calls, and messaging. 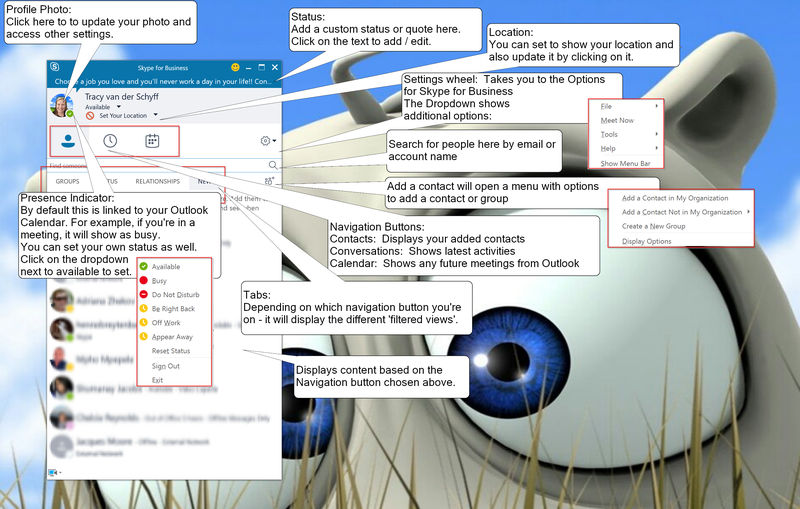 Professional meetings and collaboration—all integrated with your Office apps. Click here for download or pricing options. Catch you tomorrow when we’ll start searching for and adding contacts and groups.